There's no question that lighting towers are what's required when natural light is scarce. 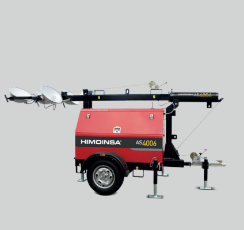 Major sporting events in Abu Dhabi, high-speed rail construction works in Spain and several of the world's largest coal mines in Mongolia, in the Southern Gobi Desert, are just some of the settings in which the HIMOINSA lighting towers have been put to work. 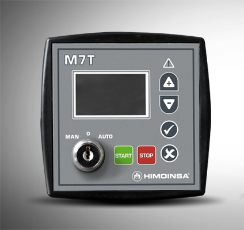 HIMOINSA has included the new M7T controller as standard for all lighting towers in its APOLO range. The new controller improves the user experience in a number of ways: lights on/off in sequence to avoid overloading the generator set; independent outputs to control the lamps switching on and off; and a hot restart protection system, which accounts for the necessary cooling time to avoid overexcitation of the alternator and to protect the equipment. Major construction projects around the world have always required lighting towers. Some of the work to widen the Panama Canal, the largest engineering project of the 21st century so far, has been carried out at night with HIMOINSA lighting towers. A project of this scale, which will see 600 million tonnes of goods carried per year, can only be achieved with artificial light.